To reduce the number of drug errors and as the part of nationwide health care system reformation, Kansas State Board of Pharmacy will launch a monitoring program, which will provide health care professionals an instant access to the patient medication history. The RXsentry program will be web-based monitoring system, developed by Health Information Designs. This company also provides about 10 states with prescription monitoring services. Also, they provide Kansas Health Policy Authority with medications utilization services. The director of the monitoring program, Christina Morris said, that the program was the part of a national push and it was designed and implemented for years. The legislation in Kansas was enacted in 2008 but didn’t receive funds until September 2009. The main concern of the program is a number of medication deaths increase. Kansas Department of Health and Environment reported the increase of deaths caused by medications from 22 to 113 (in 1999 and 2007 correspondingly). That’s a significant number. Also, about 124 drug-related deaths were reported in 2009. That’s even more than deaths caused by narcotics like cocaine and others. Morris sees the problem and says, that there will be a push to get monitoring programs for all states. She added that she got some calls from Nebraska. She said, “it’s troubling, that neither Nebraska nor Missouri have to monitor programs”. According to her words, Oklahoma requires the report on daily basis. Colorado updates the information one time per two months. Next year the issue should be resolved and Kansas will join other states with the programs, which will allow healthcare providers, such as pharmacists and doctor to access their colleagues’ databases in different states. 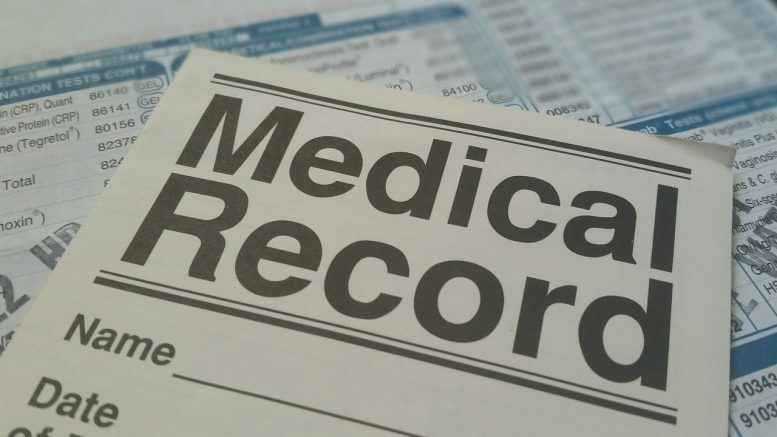 Unfortunately, the ability to get an access to such databases have raised the concern about the potential for patient privacy information violation. Morris said, that access to the database without an authorization will be prosecuted because it’s considered a felony. So anyone, who will try to get an access to the patient information without the permission will be fined in the best case. In February 2011 Kansas Tracking and Reporting of Controlled Substances (or simply “K-TRACKS”) system should be launched. Pharmacists and medication prescribers will be required to send the information to the system on a weekly basis till January 1, 2013. After this date, they will forward the information to the system on a daily basis. They will be able to get the information from the database in April. Morris said, that the system will prevent the misuse of medications, improve pain and medication management and also will indicate if the patient will meet some specific thresholds and send a message to patient’s physicians and pharmacists. For example, if the patient will visit six different physicians within six months, this could be considered a sign of a drug abuse. This will allow health care specialist help each other and prevent the potential overdose led by drug abuse. A Beloit pharmacist and a member of the pharmacy board’s monitoring program advisory board, Max Heidrick, said the physicians are more likely to get a benefit from the system, rather than pharmacy specialists. He thinks that this will be a great tool for physicians, but those are physicians, who are running a lot of suggestive medicine. If the number of prescribed controlled substances will be increased without any specific reason, pharmacies will be monitored by the wholesalers. Heidrick also said about 80% of people in Kentucky and Ohio who use medication monitoring systems are physicians. The systems are running in 34 states and it’s about to be launched in Kansas, which is one of 43 states where it is legal to monitor patient medication history and prescription information. He added that it was a long way to run the system like K-TRACKS because of the funding. Now, when the program has grants from federal Substance Abuse and Mental Health Services Administration ($130,00) and from United States Department of Justice ($400,000) it should be launched without any other major concerns. Morris said that two more people will be hired to help in running the program. And on the top of that, the pharmacy board has moved to a larger place, so even more new vacancies will be available in the near future. Be the first to comment on "Kansas Digital Patient Medication Monitoring System"